This gold making tip is ancient, but I haven't had the time yet to write about it. 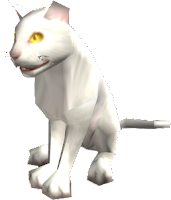 Most alliance players are aware of the NPC Lil Timmy walking around Stormwind, followed by a White Kitten. Many people simply ignore him, even though he's selling GOLD. This leaves you the chance to visit him. Lil Timmy is very easy to find, provided you know how to look for him! Lil Timmy sells only one Cat Carrier (White Kitten) at a time. She costs 60 silver, less with discounts. This kitten can be sold in the auction house for a lot more than that. Since horde can obtain it only from the Neutral Auction House, it's usually more expensive in the Horde auction house. It sells surprisingly fast too! Little Timmy patrols around Stormwind canals for a while, and then despawns. His respawn timer is 1-3 hours from my experience. Like his name would suggest, Lil Timmy is small and hard to notice if you're not looking for him. 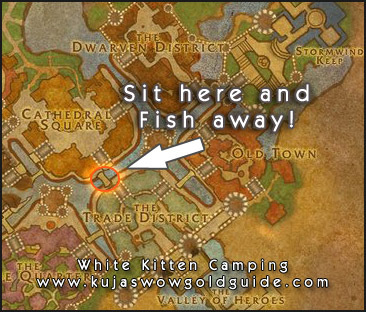 This often gives you the chance to grab the White Kitten he's selling, as people use flying mounts these days and dont walk the streets. This NPC is from vanilla, so by default NPCScan does not recognize him. Use an extension to NPCScan, like NPCScanEx. Note though that you have to clear your cache once you've found him once. This is boring, but you can combine it easily with fishing for example. Simply create a macro that targets Lil Timmy and uses your fishing ability, or even prospect or milling if your bags are full of ore or herbs. Just make sure you're in the canals. Lil Timmy. He walks over the bridge every 1-3 hours. Personally I've found him about 9 times in the last 7 days, every time by accident when spending time at the JC daily NPC. Current White Kitten prices on my realm. This is a simple, but quality tip for the newer people out there. I think with the new pet battle system almost here, this could even be more profitable too. On my realm, the white kitten averages for about 200g alliance side, 500g Horde side. A very tidy return for something that is essentially a vendor item selling for under 1g.